Dr. Conrad Susa (April 26, 1935 – November 21, 2013) was an American composer of opera, choral music, and theater music. He studied at Carnegie Institute of Technology (now Carnegie Mellon University) and The Juilliard School in New York under the auspices of William Bergsma, Vincent Persichetti, and P.D.Q. Bach. He served as staff pianist of the Pittsburgh Symphony Orchestra, and was the Dramaturge and Composer-In-Residence at the famous Old Globe Theater in San Diego from 1959 to 1994. Dr. Susa’s body of works are available through ECS Publishing. 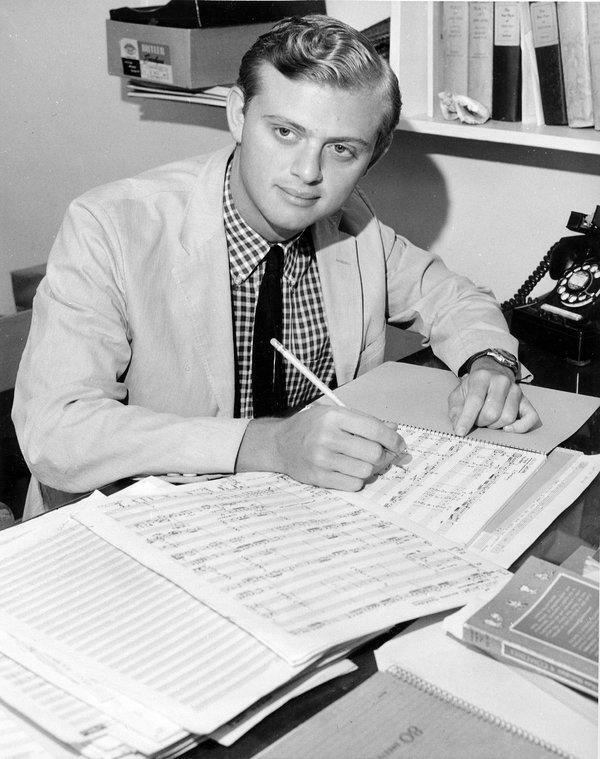 From 1988 until his death in 2013, he served on the Composition Faculty of The San Francisco Conservatory of Music. Vince Peterson (ECMC’s Artistic Director since 2014), studied composition with Dr. Susa at The San Francisco Conservatory from 2000 through 2003, later becoming Susa’s close friend and protegé. Vince was invited to Conrad’s burial services as the only non-relative in attendance, and was asked to give the final invocation. Vince was later interviewed for a major profile article on Susa in The Choral Journal of The American Choral Director’s Association (ACDA). Vince, along with the esteemed Dr. David Conte, are widely considered to be the foremost champions of Conrad’s choral works, and ECMC had the pleasure of being led by Vince in performing and recording many of Conrad’s compositions in its 2016/2017 and 2017/2018 seasons. We hope to have honored the indelible artistic and personal legacy that Conrad leaves behind.